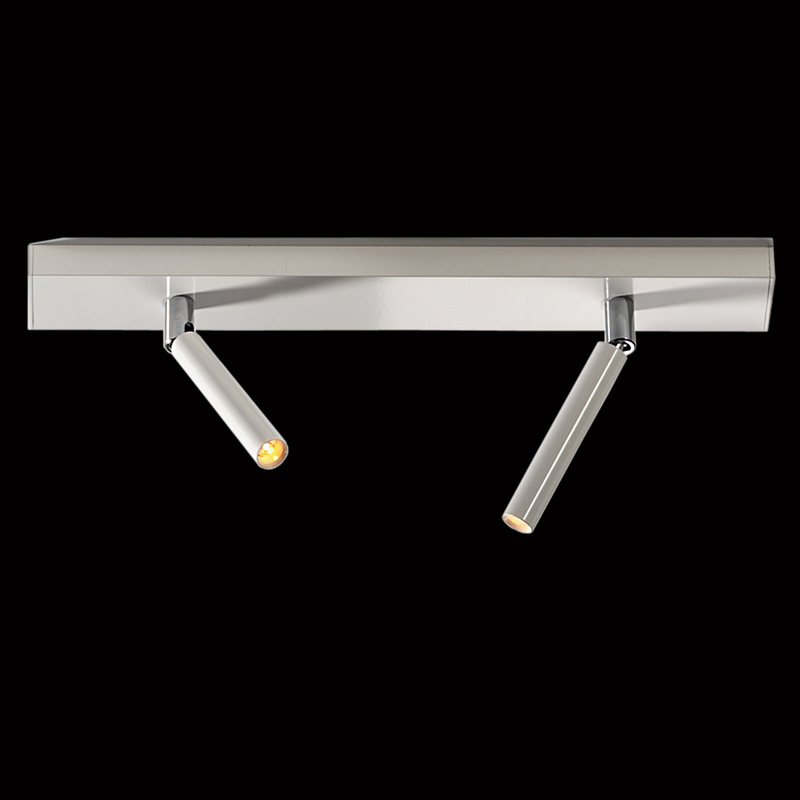 The Ecco LED Spot duo of LDM is an efficient and straightforward ceiling light. The lamp made of aluminum and is available in five color variations, and is composed of a frame and two, equipped with LED lighting elements. These are each up to 90 ° swivel, what the Ecco LED Spot Duo guarantees individual adjustability. The Ecco LED Spot Duo comes with three lens attachments through which the light effect of the light can be adjusted individually. So beam angle of 15 °, 25 ° and 43 ° are possible, whereby the Ecco LED Spot Duo can serve as a targeted and highly focused spot or able to provide a larger area lighting. This is the Ecco LED Spot Ceiling Lamp Duo of LDM to a special highlight for any hallway, bedroom or office area, where it is able to convince its flexibility, efficiency and pure designs.